Are pets part of the family? This may seem like a trivial question for some people but for those who have pets, this is a question that has been asked particularly after the death of their pets. The Bible is clear that babies, young children, infants, or toddlers that die before they are able to accept Jesus Christ as Savior go directly into the presence of the Lord. When a parent loses a child, they can be comforted with this fact , but this does not mean that they will not grieve them. I can remember losing pets and losing them is painful; our family has grieved these who were lost too. They are part of the family. They are treated as a child and I have had a few pets that thought that they were human too in the way they acted. I know of several couples that were unable to have children  and so they were especially close to their pets and loved them as they would their very own children if they were able to bear them. Many elderly couples and those who have had a spouse die are left only with their pets and animal's companionship has sustained them through many lonely days and long nights. A pet's love  is so very often completely unconditional. They don't care what your day was like, what went wrong at work, what your mood is when you come home. They are always ready to jump up into your lap and are so full of joy at seeing you that they display this love in their actions. How often I have come home from a hard day at work only to see my beloved dogs or cats run with joy to greet me. Their sheer joy at seeing me often makes me forget what a difficult day I had because they are there to meet with eager expectation. Randy Alcorn in his book called "Heaven" believes that animals will be present in the Kingdom of Heaven. Famous Christian authors who believe that pets go to heaven include: C. S. Lewis, Peter Kreeft, Sylvia Brown, Niki Behrikis Shanahan, James Herriot, and dozens and dozens of others; the list of Christian pastors, theologians, and clergy is too long to list here. 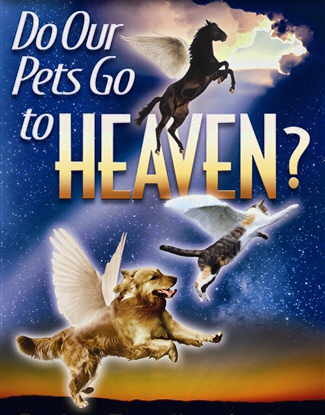 Suffice it to say that a lot of Christians believe that pets do go to heaven and that there will be animals in heaven. Ecclesiastes 3:18-21: "As for humans, God tests them so that they may see that they are like the animals. Surely the fate of human beings is like that of the animals; the same fate awaits them both: As one dies, so dies the other. All have the same breath (literally "spirit"); humans have no advantage over animals. Everything is meaningless. All go to the same place; all come from dust, and to dust all return. Who knows if the human spirit rises upward and if the spirit of the animal goes down into the earth?" Job 12:10 "In his hand is the life of every creature and the breath (literally "spirit") of all mankind." Genesis 9:9-10 "I now establish my covenant with you and with your descendants after you 10 and with every living creature that was with you-the birds, the livestock and all the wild animals, all those that came out of the ark with you-every living creature on earth." Genesis 9:16 "Whenever the rainbow appears in the clouds, I will see it and remember the everlasting covenant between God and all living creatures of every kind on the earth." Genesis 6:19-22 "You are to bring into the ark two of all living creatures, male and female, to keep them alive with you. Two of every kind of bird, of every kind of animal and of every kind of creature that moves along the ground will come to you to be kept alive. You are to take every kind of food that is to be eaten and store it away as food for you and for them." Noah did everything just as God commanded him." Genesis 1:30 "And to all the beasts of the earth and all the birds in the sky and all the creatures that move along the ground-everything that has the breath of life in it-I give every green plant for food." Hosea 2:18 "In that day I will make a covenant for them with the beasts of the field, the birds in the sky and the creatures that move along the ground. Bow and sword and battle will abolish from the land, so that all may lie down in safety." Luke 12:6 "Are not five sparrows sold for two pennies? Yet not one of them is forgotten by God." The Bible indicates that animals will exist after His return and the beginning of the Kingdom as Isaiah 11:6-9 reads, "The wolf will live with the lamb, the leopard will lie down with the goat, the calf and the lion and the yearling together; and a little child will lead them. The cow will feed with the bear, their young will lie down together, and the lion will eat straw like the ox. The infant will play near the cobra's den, the young child will put its hand into the viper's nest. They will neither harm nor destroy on all my holy mountain, for the earth will be filled with the knowledge of the LORD as the waters cover the sea." Here is the Word of God declaring that animals will still exist in the future, after Christ's reign begins. Ecclesiastes mentions that there is a "spirit" in man but also in animals in (3:19, 21) but this does not necessarily mean that it is an eternal spirit. Revelation 19:11-14 indicates, for example, that Jesus returns to the earth with His army of saints on white horses, "I saw heaven standing open and there before me was a white horse, whose rider is called Faithful and True. With justice he judges and wages war. His eyes are like blazing fire, and on his head are many crowns. He has a name written on him that no one knows but he himself. 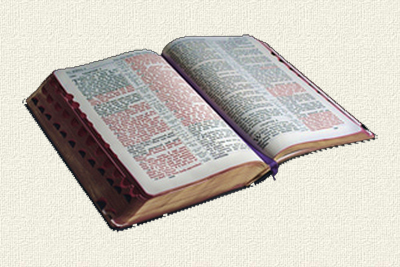 He is dressed in a robe dipped in blood, and his name is the Word of God. The armies of heaven were following him, riding on white horses and dressed in fine linen, white and clean." Upon examining the scriptures we just don't have biblical support to say this with certainty whether or not our pets will be in heaven, however it does appear that animals will exist in the Kingdom of heaven (Isaiah 11:6-9). If our pets will be resurrected or not, we just cannot say for sure. A more important question is if you, the reader, will be in heaven. It is pointless to ponder the question of whether your pet goes to heaven if you yourself are not there. The only way to be sure is to make certain you can go there. Decide today to accept Jesus Christ as your Savior and have the full assurance that you will go to heaven and receive eternal life. 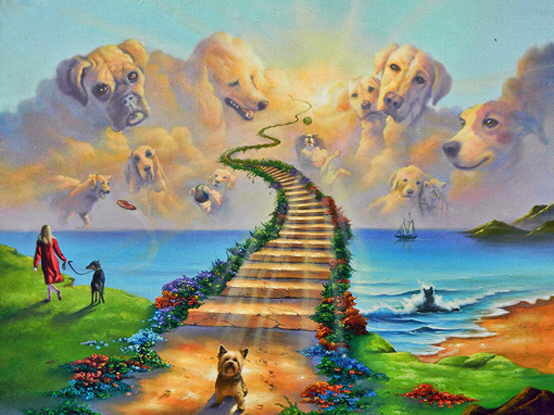 As for your pets being in heaven or not, the only way to find out is to go there yourself. That is my prayer for you.